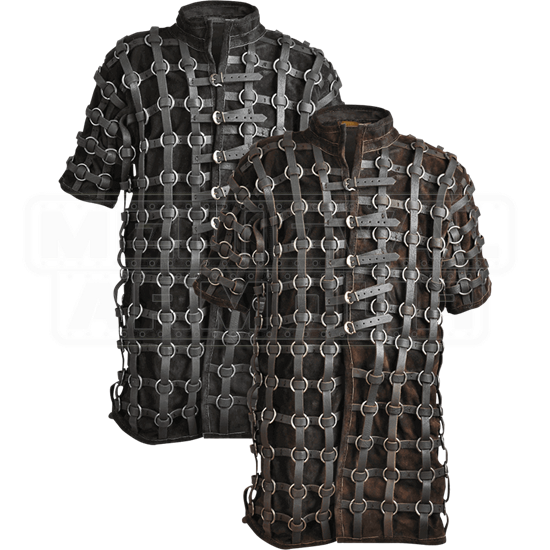 The Guntram Ring Armour offers both movability and a stronger defense during LARP warfare. Whether you choose a fantasy role or one inspired by history, you will be impressed with the style and fit of this ring mail brigandine. 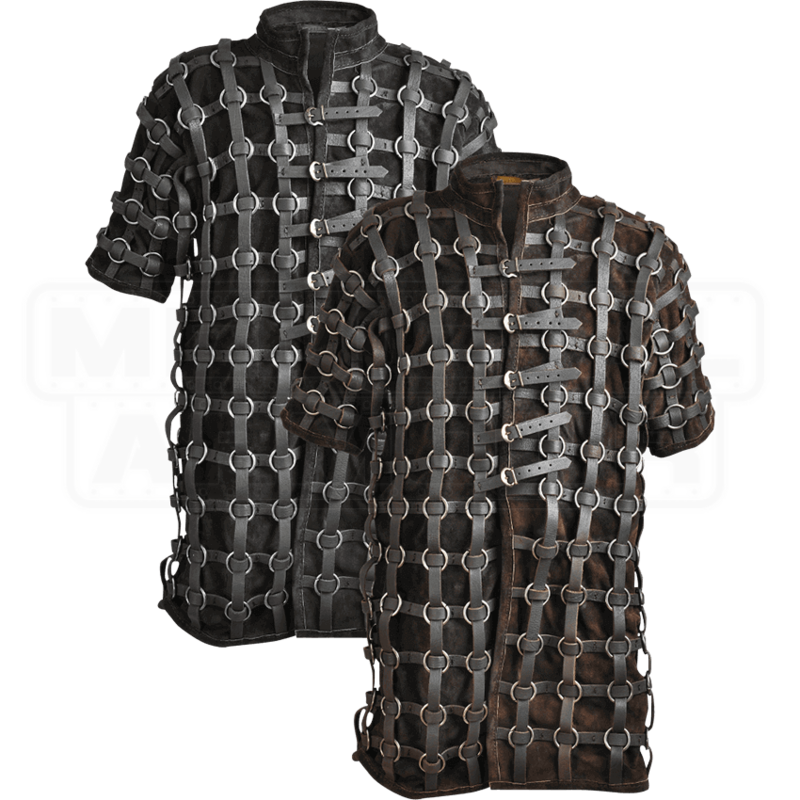 This armored coat is a modified version of the Leopold Suede Gambeson. Steel rings woven into leather straps were sewn onto its suede surface, creating greater protection against the stresses of combat. The brigandine possesses a stand-up collar with V-opening and half-sleeves. Front and back slits increase freedom of movement. Five sets of buckle straps adjust the fit along the front. An inner lining of cotton canvas increases comfort and absorbs moisture.